SCRAPPAGE is back with car makers across the UK offering huge discounts to attract buyers looking to trade in old diesel cars. The Government has declared war on dirty diesels but it has so far stopped short of bringing in an official state-funded national scrappage scheme. So while a return to the popular state subsidies of 2009 is off the agenda, for now at least, manufacturers are offering very significant discounts on some models to shift stock of newer, cleaner vehicles. Nearly all of the major car makers are offering some trade-in discount for old cars, especially diesels, with savings of up to £8,000 available. Audi, Peugeot, Mitsubishi and VW currently offer the best discount incentives in the UK, while Ford, Hyundai, Nissan, Toyota, Mazda and Dacia also have deals. But be ready to act fast. As our detailed guide below shows, some of the best deals currently on offer expire within weeks, so you may need to act in the next few days to lock in some of the most competitive deals. The “Audi scrappage incentive” is a LOT less dull than it sounds. The new scheme is openly pro-green and aims to boost sales of cleaner, more fuel-efficient cars. More importantly, it’s generous. Very, very generous. Only drivers of older diesel cars - first registered before 2010 - are eligible. But they can be any make provided you agree to upgrade to a new Audi that’s more efficient in fuel consumption and it has lower emissions. A huge range of cars are available to choose from, including the Q2, Q3, Q5, Q7, A1, A2, A3, TT, A4 A6 and A7. In other words, virtually every car Audi make. The biggest savings are, of course, only available on the more expensive cars in the range (this is Audi, after all). 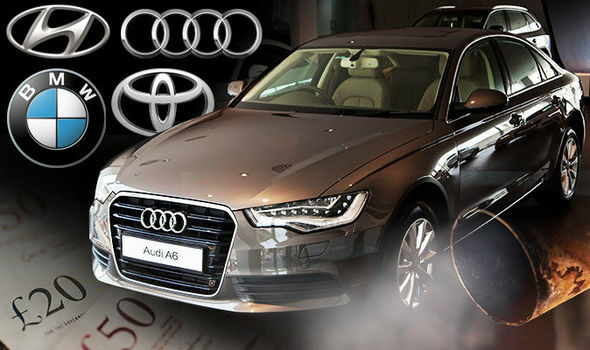 But £6,000 off the ever-brilliant A4? Not to be sniffed at. The Citroën scrappage scheme is open to anyone with a vehicle more than seven years old, providing you’ve owned the vehicle for at least 90 days. 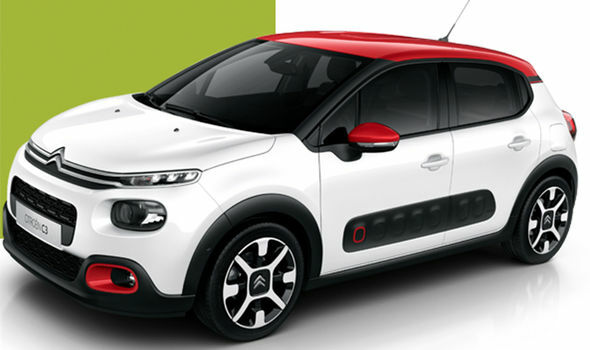 Buyers can save between £1,600 and £6,400 on a new Citroën car and up to £7,000 on a commercial van. Almost the entire range is included, from the teeny Citroën C1 city car to the Citroën C3 Aircross Compact SUV or the largest Relay van. You can trade in any make or model, petrol or diesel, but your scrappage discount can’t be used with other, existing offers across the Citroën range. All of the new scrappage schemes have their peculiar own rules and the Peugeot small-print will give you a headache, but could save you a fortune. It’s a great scheme, with very significant savings of up to £7,000 on vans and £6,000 on cars. But it’s only open to drivers with vehicles more than seven years old, providing it has been yours for at least 90 days. The company also promises to permanently take all vehicles exchanged under the scheme off the road and scrap them responsibly - so there’s no danger of the bloke down the pub pulling up in your old Focus. Almost all current Peugeot passenger cars, from the 108 city car to the award-winning 3008 SUV are included. The Ford ‘New For Old’ Scrappage Scheme offers drivers between £2,000 and £4,950 when you trade in your old vehicle for a new Ford car - and between £2,000 and £7,000 off a new commercial vehicle. Ford also pledges to scrap your old vehicle responsibly. Well…you’d hope so! Old petrols and diesels registered before the 1st January 2011 that you’ve owned for more than 90 days are eligible. 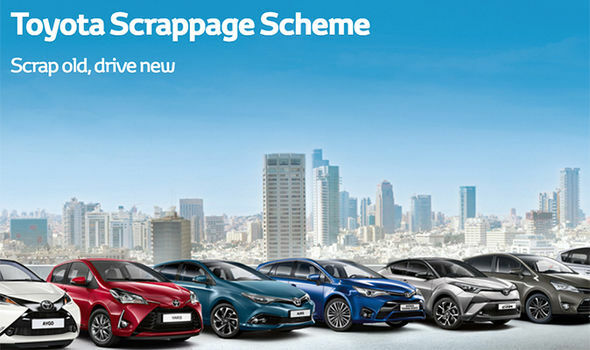 As ever with scrappage, the deal isn’t available in conjunction with any other offers - but a huge range of vehicles are available to choose from including the new Fiesta, B-Max, Focus, C-Max, Grand C-Max and Kuga. It’s even better for commercial drivers, with the maximum £7,000 discount available on the biggest Transits. Any vehicle, of any make, registered before January 2010 is eligible for Mitsubishi’s generous scrappage scheme. And like Audi, Mitsubishi will offer you a bigger discount for cleaner vehicles. Discounts start at £2,000 for the compact Mirage hatchback but soar to £6,500 for a full-sized SUV like the Outlander PHEV. The petrol plug-in hybrid does 166 MPG fuel economy and has a petrol & EV range of 542 miles with ultra low C02 emissions of 41 g/km. All cars on Scrappage are also available with an exclusive 5.9% APR Representative PCP finance offer, letting you spread the cost of your new Mitsubishi to suit your budget. 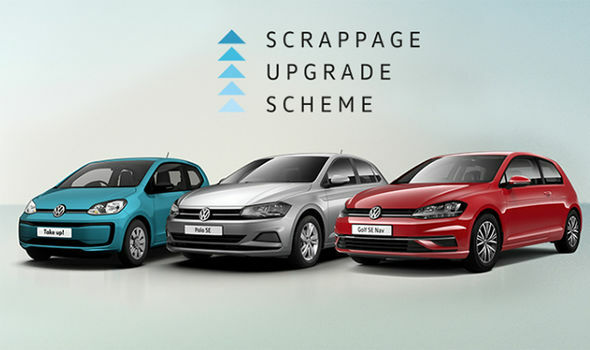 The catchily-named Volkswagen Diesel Scrappage Upgrade Scheme enables you to trade in any old diesel and get unto £6,000 toward a brand new VW. The savings are available on many of the company’s latest Euro 6 petrol and diesel cars plus plug-in hybrids and full electrics. Your old banger must have been registered in the UK on or before 31st December 2009 and have a Euro 1 – 4 emissions standard engine. A staggering 19 models right across the VW range are available for discount, from the tiny e-up! - which comes with a £3,300 saving (in addition to a £4,500 Plug-in vehicle grant) - to the enormous Sharan, which carries an equally vast £6,000 scrappage discount. Only the Touareg and T-Roc are excluded, but bear in mind this is a diesel-only scrappage scheme - so if you drive an old petrol vehicle, you’ll need to look elsewhere. 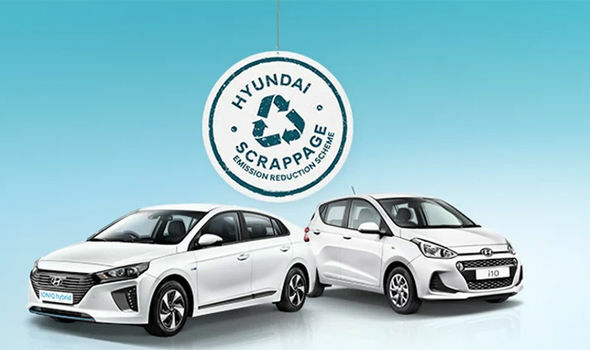 If you have an old petrol or diesel car that was registered before January 2011 Hyundai will scrap it and hand you between £1,500 and £5,000 off a new model. Available deals include £2,000 off the popular IONIQ Hybrid and £5,000 off a top-of-the range Santa Fe SUV. The most polluting cars, those with Euro 1-3 emissions, will be scrapped and completely removed from UK roads while those that are Euro 4-5 can also be traded in. Mazda’s Scrappage Upgrade Plan could help you save a tidy sum on a new, clean Mazda. The scheme lets you scrap your old petrol or diesel motor and get between £2,500 and £5,000 off a wide range of sub 135g/km new Mazdas - including the greenest vehicles with SKYACTIV Technology. There are some chunky discounts available across the range, with £5,000 off both the Mazda 3 and Mazda 6 and £3,000 off the popular CX-5 SUV. Your old car must have been registered on or before 31 December 2010. The MX-5 is excluded, as are CX-3 petrol models. A huge number of Toyotas are available under its ’Scrap Old, Buy New’ scheme. Provided your car is at least eight years old, you could trade it in for £4,000 off anything from the Toyota passenger car and light commercial range, from the AYGO city car a Land Cruiser or Hilux. Its hybrid range includes the stylish C-HR Hybrid crossover, the British-built Auris Hybrid hatchback and Touring Sports wagon plus, of course, the iconic Prius. Its ever-popular compact SUV, the Rav 4, is also included with a healthy £2,500 mark-down. Like the rest of the VW group Skoda will only give you a scrappage discount in exchange for an old diesel. Owners of petrol bangers will need to look elsewhere on this list. If you own a diesel vehicle that complies with pre-Euro 5 emissions legislation, and was registered before 2010, you qualify for the ŠKODA scrappage incentive offer. Up to £4,000 is available to use against the majority of new models (excluding Kodiaq, Karoq, SE Technology and Citigo S trims), when ordered by March 31. Note that, unlike some other schemes, you must have owned your diesel for six months before you can let them destroy it. This offer was initially set to expire last year, but proved so popular it was kept open for a further three months. The BMW Lower Emissions Allowance is only available to drivers of old diesels that don’t meet Euro 5 and 6 emissions standards. In the real world, that means if your wreck is less than seven years old, it probably isn’t eligible. The £2,000 discount is only for cars with emissions of 130g/km or less, which includes the 1 Series and electric i3. On the plus side, you will be offered your car’s trade-in value plus - unusually - existing discounts that are offered on new cars, which can mean decent savings. Not many scrappage schemes are beautifully simple, but Nissan’s Switch Scheme is. Simply trade in your nine-year-old (or older) car and your get £2,000 towards either a used 100% electric Nissan LEAF or a New X-Trail or Juke. If you combine your switch with Nissan Finance’s Personal Contract Plan, you could save even more,up to £4,500. Kia’s scrappage scheme is not the most generous, but with the firm’s landmark seven-year warranty it can still make good financial sense to upgrade. You can currently get £2,000 off a new Rio or Picanto. As ever, the scrappage saving is in lieu of all other offers. Kia would like to stress that only one scrappage payment can be claimed for each vehicle scrapped. D’oh! £2,000 off a new Dacia may not sound like much, but it can be a huge percentage saving. The Dacia Scrappage Scheme will save you the full amount when you swap your old car for a new Dacia Duster - which start from just £9,495 - or £500 for a new Dacia Sandero.